Closets of Tulsa's 1-inch thick garage shelves are stain-resistant and won't bow or crack for life. 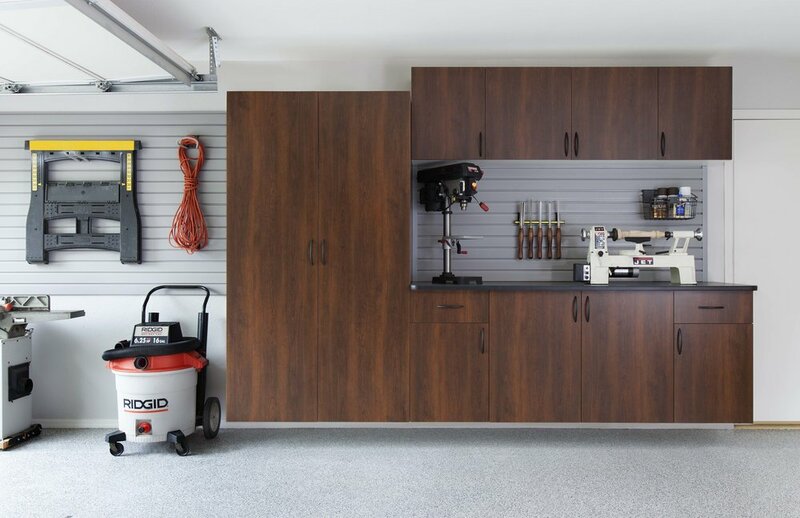 Our wall mounted, fully backed cabinets protect your tools and storage boxes from moisture, pests and debris so garage organization stays hassle-free. Bring us a better bid—We'll beat it by 10%!